Cystic fibrosis (CF for short) is a genetic disease (passed down from parents to children) that causes the body to make thick and sticky mucus that is hard to clear from the lungs, pancreas, and other organs. Most people are diagnosed with CF by the time they are 2 years old. People who have CF are able to have a full life without limitations; however, they need to take medicine and do daily breathing treatments. Cystic fibrosis (CF) is a genetic disease (passed down from parents to a child) that can affect many different organs in the body. More than 30,000 people are living with CF in the United States. Cystic fibrosis affects a chloride channel in the body. These channels are found in a person’s lungs, pancreas, liver, sinuses, and other organs. People with CF make mucus that is extra thick and sticky. This sticky mucus can clog up a person’s lungs causing infections and trouble breathing over time. It also causes problems with digestion (processing food that is eaten). What causes CF and who gets it? CF is a genetic disease. This means that the disease is passed down from both parents to a child; similar to the way a person inherits the color of their eyes, hair, and skin. You need two copies of this gene to have CF, one from your mother and one from your father. If you have only one copy of the CF gene, you are a carrier; you do not have CF disease but can pass the gene to any children you have. CF causes the body to make thick and sticky mucus that is hard to clear from the lungs, pancreas, and other organs. This leads to lung infections and over time the lungs become damaged. In the pancreas and intestines, the thick mucus prevents the release of digestive enzymes, which may lead to poor nutrition and weight gain. CF affects many organs and can have many different symptoms, ranging from mild to severe. Some people with CF may have only a few symptoms while others have a lot. Scientists who study CF don’t know exactly why this happens. How does someone find out they have CF? More than 75% of people with CF are diagnosed before they are 2 years old. This is because most U.S. states screen every baby for CF when they are born. Most people reading this have been tested for CF already and probably don’t know it! Different mutations (defects or abnormal cells) in the CF gene cause CF. There are over 1,700 different mutations that have been identified. The newborn screening process tests for the most common mutations. If you are older and have symptoms that might be CF, you will need to have a “sweat test.” A sweat test is a painless procedure that collects a sample of your sweat and measures the amount of chloride (or salt) in it. If this test is positive, you have CF. What is the treatment(s) for CF? CF affects many organs, so the treatments for CF are different for each person. In general, most people with CF take medicine prescribed by their health care provider and have treatments that help break up the thick mucus in their lungs. These include inhaled medications and devices that help clear the mucus. People with CF must do these treatments several times every day to prevent long-term damage to their lungs. About 85% of people with CF also need to take medicine that replaces the digestive enzymes that are blocked in the organ called the pancreas. These pancreatic enzyme medications must be taken every time someone with CF eats. If people with CF have other symptoms due to diabetes, liver disease, etc., they will have other medications to take every day as well. What kind of limitations does someone with CF have? People with CF can live very full, normal lives. There are no limitations to their exercise, diet, or activities. However, due to the different lung infections that they can get, they should not meet or talk with other patients with CF in-person. This is because they may catch new bacteria from each other, which could lead to serious lung damage. Is there a cure for CF? Currently, there is no cure for CF. However, there has been a lot of progress in treating and managing CF, and people diagnosed with CF are living longer and healthier lives. Today, the average survival age is close to 40 as many people are living longer. In the 1950s, someone with CF usually didn’t live long enough to start kindergarten. 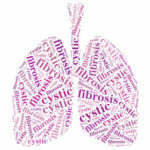 Because of the advances in therapy, over half of people with CF are over the age of 18 years. Many people with CF are living long enough to go to college, have a job, get married, and have and raise children. I have a friend, sibling, or classmate with CF. How can I be supportive? Most people with CF spend about two hours every day on medical treatments to stay healthy. Understanding that CF and these treatments are a part of their lives is important. It’s also important to realize that people with CF are just like you in most ways. You shouldn’t treat anyone differently because they have CF! Supporting a friend can take many forms, such as going with them to appointments, spending time with them while they are having treatments, or simply giving them a safe place to talk about their feelings about CF or about anything else. Because everyone copes differently, the best way to know what someone needs is to ask!